There is a fuel that is still unknown to the majority of society: hydrogen. Did you know that space travel would be impossible without hydrogen? Or that it is the most versatile and abundant chemical element existing? It could be the business of the future, because it can be stored, used as vehicle fuel or gas booster for home use. Hydrogen is the most abundant element in the universe, but on Earth it is mainly in the form of compounds such as hydrocarbons or water and must be produced by reaction of hydrocarbons with steam or water hydrolysis. If in the latter, the electricity for the hydrolysis comes from renewable sources, it would be an energy carrier with little emissions, so it can be considered a renewable energy and join the list of these technologies. Therefore Siemens, a leading global technology company, has created a new solution capable of producing in large quantities this colorless, odorless and light element from surplus wind and solar farms renewable energy. This is the Silyzer 200, a machine that removes almost pure hydrogen from water and electricity as raw materials, with a very high yield (75%). With this new technology, Siemens meets three challenges of today: First, it meets the objectives of reducing CO2 in the EU, which can only be achieved by increasing electricity generation from renewable sources. Second, to store energy in large quantities, since according to the latest study by Siemens and the University of Munich demand for electricity is forecasted to grow of by 80% in 2030. And finally, it allows having highly dynamic equipment able to regulate the grid frequency to make it remain constant, despite sudden changes in load. How to harness surplus renewable energy? This technology can be used immediately in renewable energy plants to solve the problem of energy waste. When there is no demand, but the sun and wind conditions are optimal, the energy generated by these farms is discarded because it cannot be stored. This is a great loss especially for the islands that are not connected to the main grid. In this case, the Siemens Silyzer 200 can improve the performance of these facilities by achieving, through the PEM electrolysis technique (which uses water, electricity and a proton exchange membrane), to produce and store that energy in the form of hydrogen and also act as current regulator. For the construction of Silyzer 200, the company has opted for the use of PEM technology compared to alkaline, the other most widespread alternative for the production of hydrogen by electrolysis. For use in wind and solar farms, the proton membrane is more dynamic and allows harness all of the energy generated even in the highest peaks of production. In fact, their performance is very high even when working at pressures greater than atmospheric. Similarly, Siemens makes use of the electrolysis technique for the production of hydrogen instead of the gasification or steam reforming, currently used by the petrochemical and food industry because these require a fossil fuel and hydrogen obtained by these techniques may contain impurities. 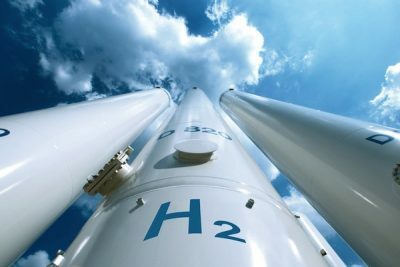 Once extracted, besides being a source of clean energy that can be stored, hydrogen has multiple uses for our daily life. For example, in the near future it will serve to supply fuel to fuel cell vehicles. And the fact is that today, all the makes are developing such models due to its many advantages, as they perform a 100% clean propulsion and only generate H2O released into the atmosphere. In fact, creating electro service stations or pumps will be a very profitable business in a few years.